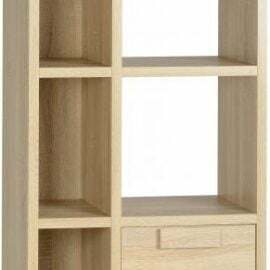 Display Cabinets add a functional and stylish storage solution to your home. 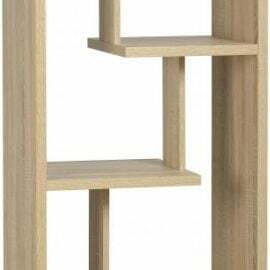 Organise and display your collection of most loved items in any way you please. 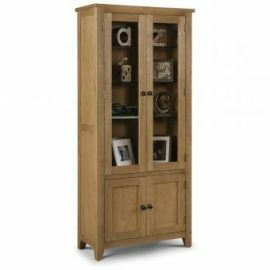 Display Cabinets are a brilliant way of creating an elegant finished look in any room. From classic to contemporary, Bigmickey.ie has everything to match your preferred style and size to fit your space. The Astoria Oak Dining Collection is made from a Combination of Solid American White Oak and Oak Veneers in a Sumptuous Waxed Finish and Features 40mm Chunky Tops for a Very Classic Look. 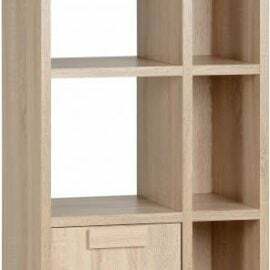 The 1 Door 5 Shelf Unit in Sonoma Oak Effect Veneer is a real statement piece that will bring both style and function to any living room or kitchen. 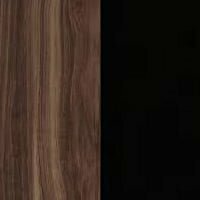 The Cambria 1 Door Display Unit in Sonoma Oak Effect Veneer is a real statement piece that will bring both style and function to any living room or kitchen. The Cambria 3 Drawer Display Unit in Sonoma Oak Effect Veneer is a real statement piece that will bring both style and function to any kitchen or living room area. 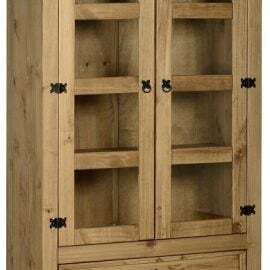 The Cordona 1 Door 2 Drawer Glass Display Unit is available in Distressed Waxed Pine with Clear Glass. It is a real statement piece that will bring both style and function to any home. 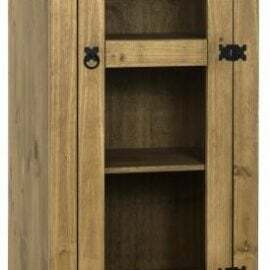 The Cordona 2 Door 2 Drawer Glass Display Unit is available in Distressed Waxed Pine. It is a real statement piece that will bring both style and function to any home. 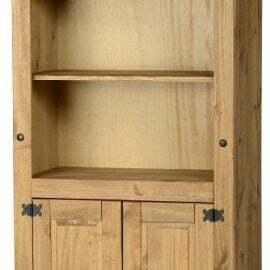 The Cordona 2 Door Display Unit/Bookcase is available in Distressed Waxed Pine. It is a real statement piece that will bring both style and function to any home. 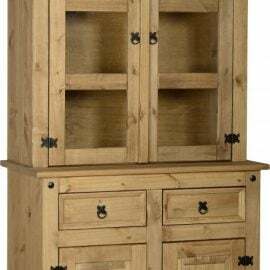 The Cordona 3′ Buffet Hutch is available in Distressed Waxed Pine. It is a real statement piece that will bring both style and function to any home. 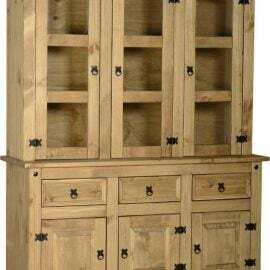 The Cordona 4’6″ Buffet Hutch is available in Distressed Waxed Pine. It is a real statement piece that will bring both style and function to any home.